How can you find out if you’re getting the best from your current sales team? What are they good at? What needs improving? 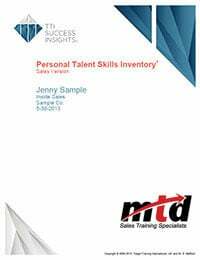 Before you start developing your sales people you need to gain an insight into their behaviours, motivators and personal skills. A full understanding of what’s going on in their head is necessary to develop a top level sales performer. Training your staff in areas that don’t need improving can cost you dearly in time, lost sales and money. Likewise, it can be very expensive if you select the wrong staff so being able to gain an overall picture of someone’s behaviours and motivations before they start with you can really help you to make an informed decision as to whether they will be a good fit and also whether they will perform. Training your team to sell more effectively is the easy part. Knowing how to develop them on their internal drivers, behaviours, personal skills and motivation is a much more difficult task! You’ve also most likely come across sales people who seem to have all of the skills yet they continue to deliver sub-standard performance. They lack the attention to detail and the drive to perform – these are “internal” factors that you cannot see on the surface. 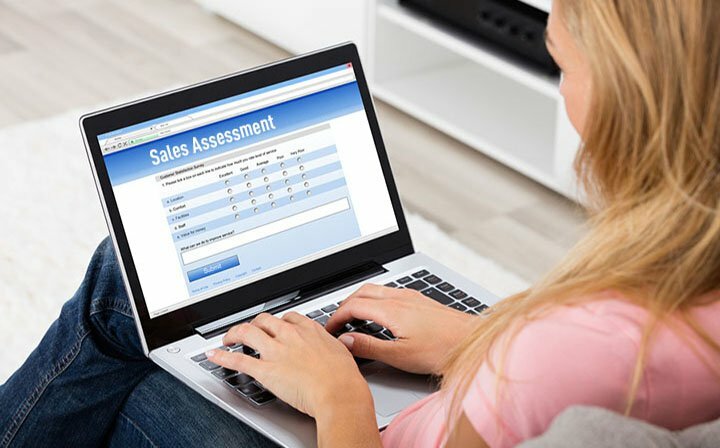 We offer a range of personality assessments that will uncover what these internal factors are and the impacts that they have on delivering superior sales performance. download each of the 4 reports below. the output of each and their usefulness. 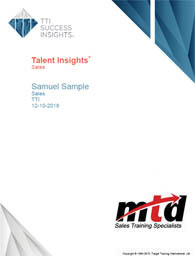 Click on the cover to download the sample report. This report looks at just the motivators that drive the individual in a sales. This report examines the behaviours individuals bring to the job and the motivators that drive them in sales. The PTSI is designed to assess a person’s cognitive structure, focusing on three dimensions of thought: systemic, extrinsic and intrinsic.